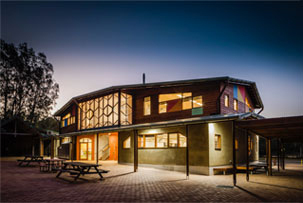 Each year Cape Byron Steiner School celebrates the Autumnal Equinox, usually falling on or about 21st March each year, with our Autumn Festival. The entire school prepares for this over many weeks from the beginning of term and the students from Kindergarten to Year 12 participate in some way on the day, as participation deepens the experience, makes it personal, even though it is a whole community event. The students and teachers dress in the colours of autumn: red, golden yellow, orange, brown, purple, etc even though here in the Northern Rivers area the coming of Autumn is not as clearly defined as in inland and cooler areas. The Primary School students have embraced a recently formed tradition of composing a verse each for an autumn song, the chorus of which is known by all, to be sung throughout the celebration of the festival. There is generally a surprise element and a dance which includes the entire school community. Families are encouraged to bring in home-grown produce or market bought produce, breads, preserves, etc to add to the “harvest bounty” display which is the focal point of our celebration; the food afterwards being given to a local charity, namely the Liberation Larder which feeds many homeless and needy members in our wider community. Saint Michael is regarded as the guide and protector of our era (Zeitgeist – spirit of our time) and he is depicted holding a flaming sword to protect and give us courage in the face of darkness or hard times, traditionally in the dark of Winter which follows Autumn. In the English tradition, the story of Saint George overcoming the Dragon depictions the Michaelic task. The Equinox signifies the beginning of the days growing shorter and the coming of Winter, a sort of dying of natural forces on the outside while inner forces of strength and courage are awakened in the indomitable human spirit. With the cooler weather, we human beings notice a change in our energy, a sharpening of interest and a sense of enterprise, in contrast to the sleepiness and dreaminess of the long, hot Summer months. For the children, following the rhythms and cycles of the year with festivals and celebrations is an important part of their development. They look forward to the ‘sameness’ and predictability of the event and yet each time there is something new, something fresh, which they experience as the festival is created and re-created anew. This gives them a sense of stability and trust in the world as well as a sense of belonging; an opportunity to see themselves as part of the wider community.